"And he took the children in his arms,"
Prospective parents and families, Contact Mrs. Ell at jell@stbernadetteamelia.org or 753-4744 (for families K-8) to schedule a tour of St. Bernadette School by appointment on school days between 8:30 a.m. - 1:30 p.m.
Our teachers make the difference. Professional, Personal, and Spiritual. 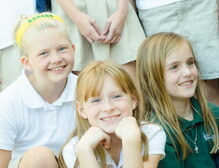 Our children are guided and instructed by teachers who are committed to the education and well being of each child. Our faculty uses modern techniques and technology in a flexible learning environment that empowers each child to develop to their fullest potential. Our impact is a compelling success story. 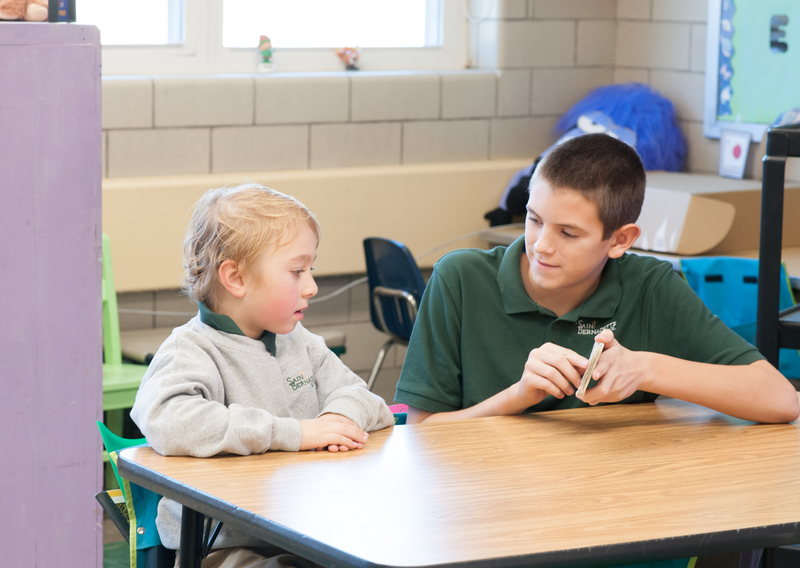 Ohio Catholic schools consistently rank in the top 10% of schools nationwide for 8th grade reading and math scores and approximately 98% of all graduating students from the Archdiocese of Cincinnati Catholic high schools continue their education. Of those, nearly 2/3rds receive college scholarships. 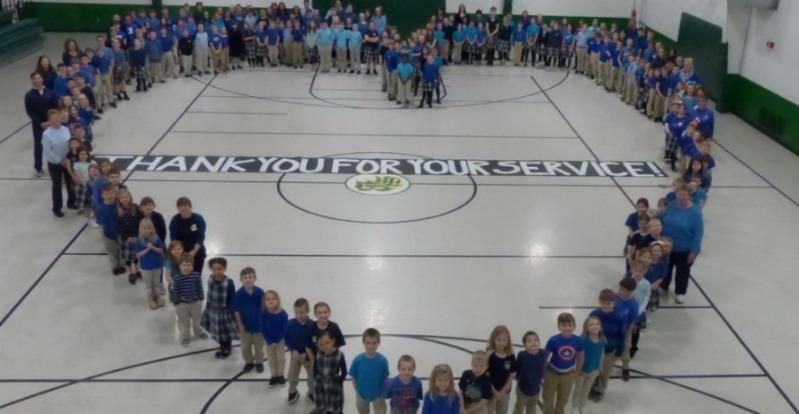 Our students contribute hundreds of service hours to our community and our families report exceedingly high rates of satisfaction. Our school is committed to maintaining an atmosphere for learning in which Academic Excellence is pursued and achieved in a vibrant, formative spiritual community. The mission is to provide the education of the whole student blending academic learning with faith development and moral formation in accordance with the philosophy of the Catholic Church. We educate the whole child to prepare students to participate actively in their Church, their family and their community. We offer the highest quality education in a Catholic environment to ensure that all students achieve their maximum levels. St. Bernadette provides faith development and moral formation in accordance with the philosophy of the Catholic Church. Sports programs at St. Bernadette provide student athletes the resources and guidance for them to reach their full potential.